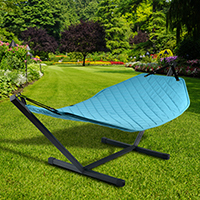 Make more of your garden this summer with our funky freestanding B Hammock from Extreme Lounging that's big enough for two, is assembled in seconds and will last a lifetime. 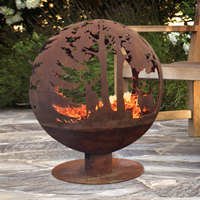 Great for cool summer evenings, family BBQs or garden parties - our new globe fire pit is the perfect centrepiece and sure to make an impression on your guests. 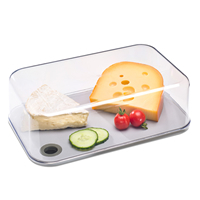 Crystal clear cheese serving dome / storage box with removable chopping / serving board. 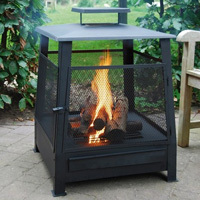 Cast iron outdoor heater with mesh door. 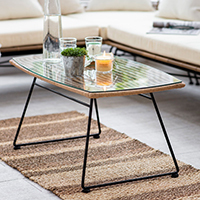 All-weather bamboo coffee table with black powder coated steel legs and a tempered glass top. 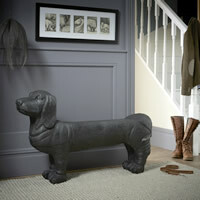 Part of our Hampstead furniture range. 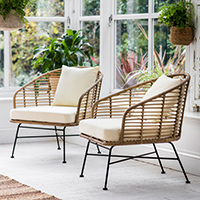 Set of 2 all-weather bamboo armchairs with seat pads and back cushions. 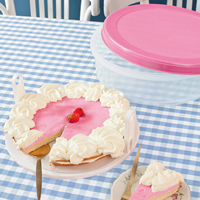 Ok so it's plastic rather than tin but you asked us to find a really large container to store Christmas, Wedding & Simnel cakes. ...It took a while but we found one! 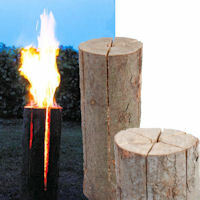 Forget the chiminea, fire pit or garden torches, try one of our new Swedish Fire Logs instead in your garden. 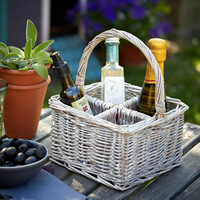 Great for summer BBQ's and as a Guy Fawkes bonfire alternative! 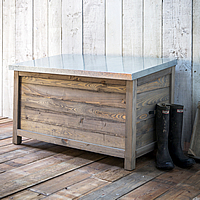 Spruce wood and zinc garden chest. 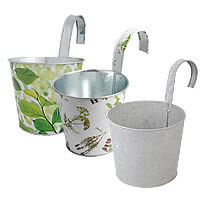 Great for wellies and shoe storage, gardening tools, outdoor games or even your mail-order parcels by the front door. Delivered fully assembled. 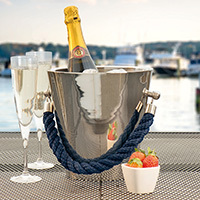 Great for cool summer evenings, family BBQs or garden parties - our new fire ball is the perfect centrepiece and sure to make an impression on your guests. 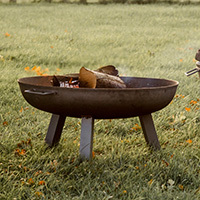 Great for cool summer evenings, family BBQs or garden parties - our new Foscot fire pit is the perfect centrepiece when the sun goes down. 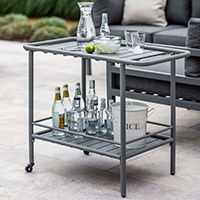 Practical and stylish drinks trolley crafted from powder coated steel with a matt charcoal finish. 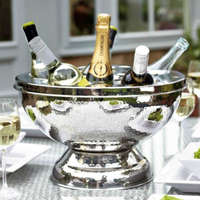 Large flower pot to hook over your balustrade, balcony or fence for some extra growing space. 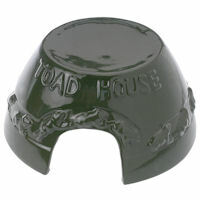 Comes in several attractive colours. 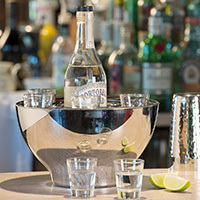 Contemporary metal fruit bowl from our designer friends in Japan. Available in black and white. 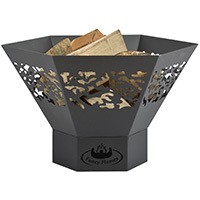 Great for cool summer evenings, family BBQs or garden parties - our new fire bowl is the perfect centrepiece when the sun goes down. 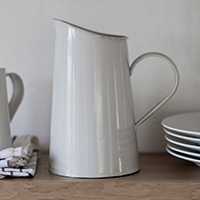 Lovely enamel jug to complement our vintage kitchen canister range. 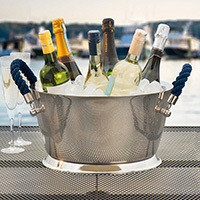 Store milk, flowers, utensils or just hang from one of our wooden kitchen racks for that traditional look. 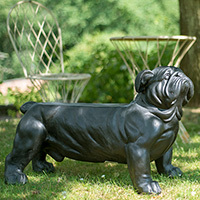 Quirky bull dog shaped resin garden or hallway bench. 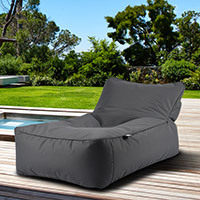 Super comfy chaise longue inspired beanbag lounger to bring a touch of comfort and style to your outdoor space. 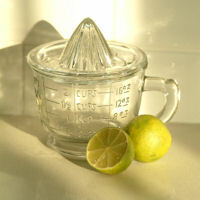 Traditional glass juicer and measurer for a sweeter glass of orange in the mornings! 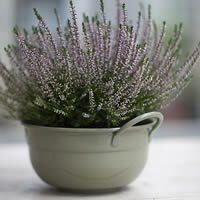 Stylish indoor planter for your windowsill finished in a gooseberry coloured enamel look. 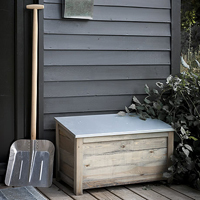 Spruce wood and zinc garden chest. 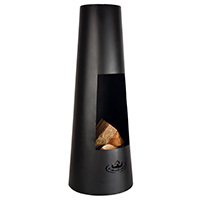 Available in a natural or stained blackened finish. 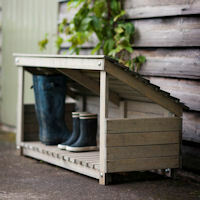 Great for wellies and shoe storage, gardening tools, outdoor games or even your mail-order parcels by the front door. 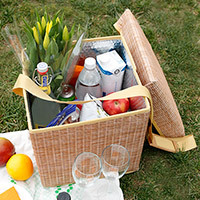 Delivered fully assembled.